Go See This Restaurant...Select "Get Name/Address" to the left. Amazing location right across from Major University the enrollment is over 70,000 students. The shopping center is top notch the large parking lot is always full. Super busy center. 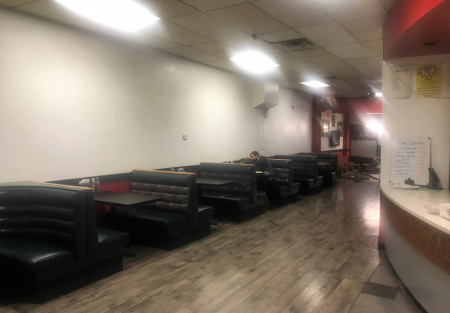 Warm and clean dining areas...first dining area has seating standard booth seating but if you want to go old school the second dining area had traditional middle Eastern seating which can be a lot of fun if you on a first date. Rent: $6,112 water and waste removal included for over 2,160 plus SQFT. Owner will show profits over $150,000.00 per year. Monthly sales are over $45,000. There is a counter for pick up orders...although they're full service. The sellers will train the new buyer. Reason for selling: Owners suffered a heart attack and is selling off his restaurants.